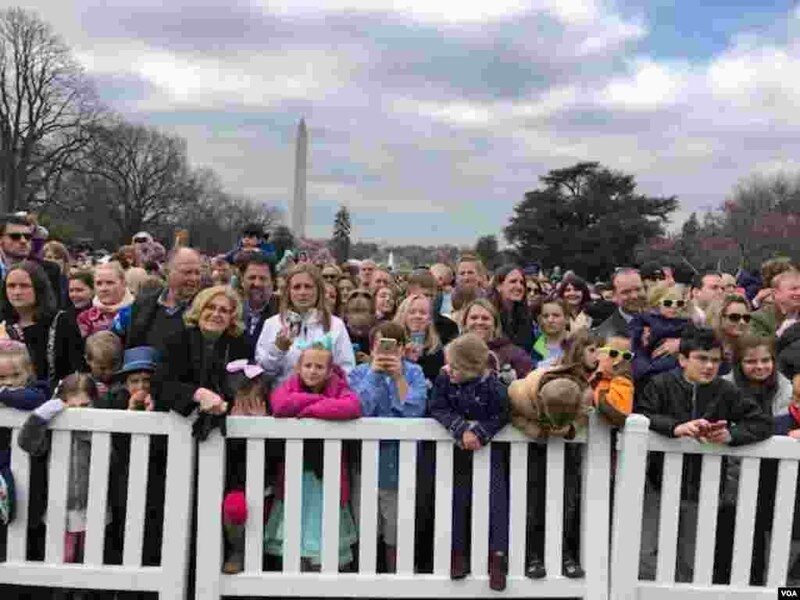 U.S. President Donald Trump and first lady Melania Trump are hosting the annual Easter Egg Roll Monday on the South Lawn of the White House. 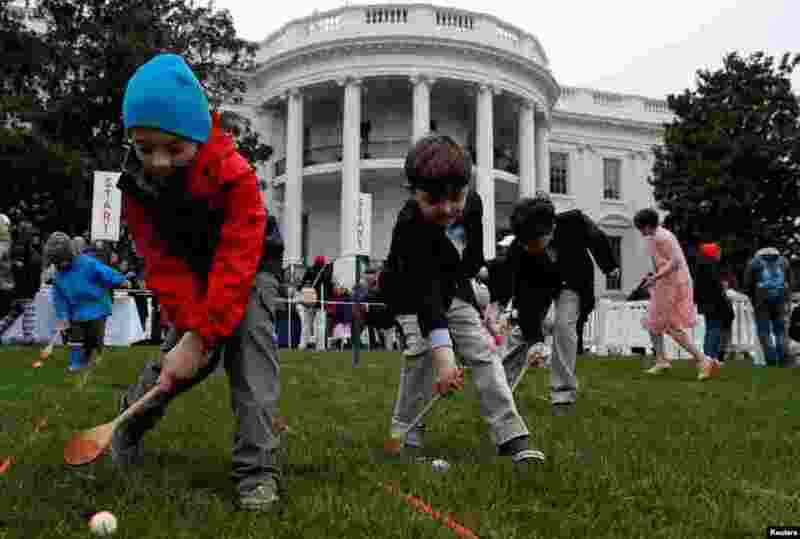 As part of the festivities, children and families usually push wooden eggs across the White house lawn using oversized spoons. Military bands and games are also part of the customary trappings of the event. 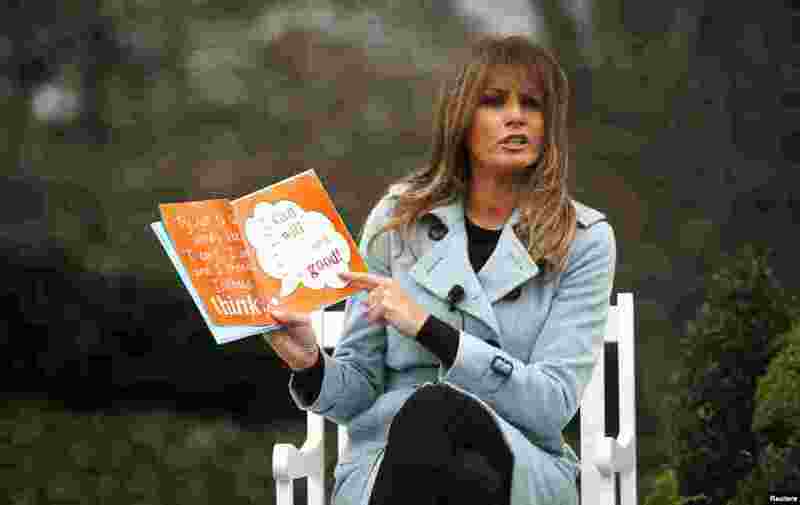 6 U.S. first lady Melania Trump reads a book to children gathered for the annual White House Easter Egg Roll on the South Lawn of the White House, April 2, 2018. 7 Skye Kennedy (C), 5, Seamus Menefee (L), 7, and Jack Kennedy, 8, participate in the egg roll during the annual White House Easter Egg Roll, April 2, 2018. 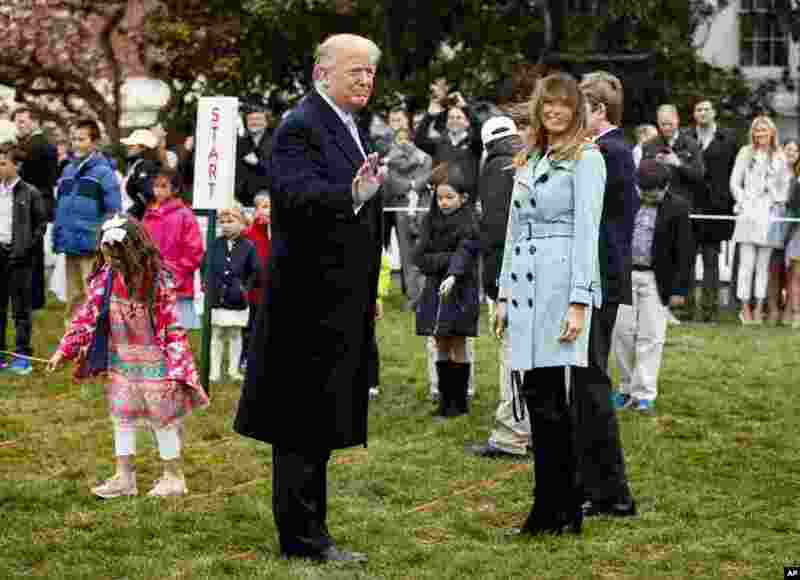 8 President Donald Trump and first lady Melania Trump turn to the crowd at the annual White House Easter Egg Roll, April 2, 2018.